China’s property developers are under pressure because of slowing property sales, which could further push home prices down for the rest of the year, according to analysts from Standard & Poor’s (S&P). 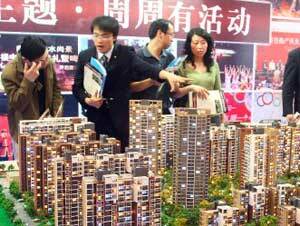 Price cuts are likely to be the main marketing strategy adopted by China’s real estate developers to reach sales targets in the second half, S&P said in an emailed report to clients. At least a 5% cut in home prices is expected by S&P. Bigger price mark downs are expected in low-tiered cities, especially for smaller real estate firms. Land sales, an important property market indicator in China, have fallen 38% by value year-on-year to 13.75 billion yuan ($2.2 billion). Swelling property inventories at the provincial level have dragged land sales down across 300 cities. Transactions dropped to 1,767 in May, 45% down on last year and 19% less than in April, added MarketWatch.com. The so-called “hot season” for property in China, which usually lasts from the last week of April through May, did not happen this year, observed an analyst at Soufun, China’s leading real estate website. Chinese cities including the affluent Hangzhuo in Zhejiang province have listed no land sales since March, while the city of Jinan in the province of Shandong recorded no sales in May, said a report from Life Daily, a government-run paper. Hong Kong-based Centaline Property, which has an important presence in China, has been letting staff go. Clement Luk, Centaline's East China chief executive told Reuters that he had been closing shops that have not met sales quotas.